Well, Tax Day is coming up on Monday, April 18th! That means that it is the deadline for filing IRS tax returns. If you donated to your car to Wheels for Wishes in 2015, you can use our car donation tax deduction calculator to estimate your deduction. You have not only earned a tax deduction; thanks to your vehicle donation, you have done something great for the environment and helped local children who really needed your support. Within our complex tax system, there are many legal ways that you can pay less taxes and have more in your pocket to spend. 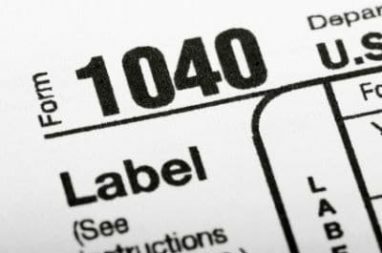 There are plenty of opportunities for tax payers to take advantage of tax deductions, but many of us aren’t aware of what is deductible. Don’t overlook these great opportunities! Sales tax. You can deduct sales taxes or state taxes from your federal income tax. If you made a big purchase like a wedding ring or a car, you can choose to take a deduction. Health insurance premiums. If you’re self-employed and responsible for your own health insurance, you can deduct all of the costs, and it gets taken off of your adjusted gross income. Job expenses. If you’re a teacher and have bought supplies for your students, deduct it! If you’re a doctor and you bought toys or games for your waiting room, deduct it. If you’re an office worker who brings in your own stapler and pens, you can deduct those, too. Charitable causes. Beyond making donations to charities, if you bought ingredients for a bake sale or supplies for a charitable walk, you can deduct things like sugar and running shoes. Child care costs. Yes, even paying the teenage babysitter to watch your kids while you work counts as a reasonable deduction. If you used a babysitter to watch your kids so that you could attend a fundraiser or volunteer, you can also list the cause as a charitable contribution. Learning. Anything that you have paid for to better your career skills, such as web classes or seminars you’ve attended can be deducted. Job-hunting expenses. If you bought a new outfit to snag a great job interview, or if you invested in a new computer to help you search for a job, you can deduct that as well. You may have missed out on a great tax deduction opportunity for your 2015 taxes, but that doesn’t mean you don’t get to plan ahead! Donate your car to Wheels for Wishes, and you will definitely thank yourself for doing so come April 2017. You can donate a car, boat, RV, motorcycle, or truck, and we accept vehicles in most conditions. Why go through the hassle of selling a vehicle in poor shape that needs a lot of maintenance when you could greatly benefit come April? You’re also providing the opportunity for local kids to benefit from your donation. Everybody wins! Check out our chapter locator and see what Wheels For Wishes can do for you, and what you can do for your community.